A Realistic Investment Philosophy — Peace of Mind Financial Planning Inc. Pick one of these statements that describe your investment outlook. (1) I want an investment that is really safe. I don’t want to lose any money! (2) I want my money to work hard. I want to see some great returns! If you really only picked one, you’re already more realistic than many people. Many smart individuals believe they should be able to have completely safe investments with no potential loss (or even temporary downturns) and get consistently fabulous returns. So let’s look at the different types of risk. Loss of investment is a risk, especially in markets where you take an ownership position, like the stock market or stock mutual funds. Sometimes, though, a temporary decline in an investment is mistakenly seen as a loss. Historically, the stock market has performed better than investors in the stock market have. It’s because people tend to panic and pull money out instead of riding some of the downturns back up. When it comes to this type of risk, there is definitely a relationship with return. High risk investments – if they succeed – should anticipate high returns. Low risk will have lower returns. Another risk is purchasing power. If you have a really safe investment, it may have a “guaranteed” rate of return, but it won’t be as high as a return on an ownership investment. In some cases, it won’t even stay ahead of inflation. That’s especially true when you take taxes into account. Your money will be completely stable, but not be able to meet your needs. Inflation has eroded your purchasing power. The need for liquidity can also pose risks. If you don’t have money when you need it for emergencies, you might end up paying high interest on a credit card or simply not being able to deal with the financial impact of the emergency. So, if you have your money in the stock market and the stock market is down, you can get to your money, but you’re selling at low values. If you lock your money up for a long period of time to get a better rate on a guaranteed investment, you’ll probably have penalties if you need it. Taxes can pose more than one type of risk. If you’ve saved for retirement with tax deferred accounts, you might have to pay taxes and penalties if you need it before you turn 59½. Also, the tax code is constantly changing in an effort to meet the needs of providing government services and drive the economy. You might have a good budget today, but if taxes change, you might have less cash flow than you have had in the past. 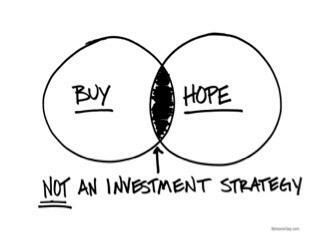 The solution for finding the perfect investment is to stop thinking there is one. The reason financial planners beat the drum of diversifying investments so much is to avoid one of these risks taking away your financial security. There is no single, perfect solution. But the right combination can serve you well.